The 1993 HBR article ‘Customer Intimacy and Other Value Disciplines’ argued that every company had to become champions of one of three value disciplines — operational excellence, customer intimacy, or product leadership. Since that book was published, virtually every business meeting I’ve been in has used at least one of these phrases to describe strategy. Value disciplines are treated as if they were gospel. These [value disciplines] sound like good ideas, but if they don’t translate into a genuinely lower cost structure or higher prices from customers, they aren’t really strategies worth having. The authors have plenty of street cred to back up their point of view. 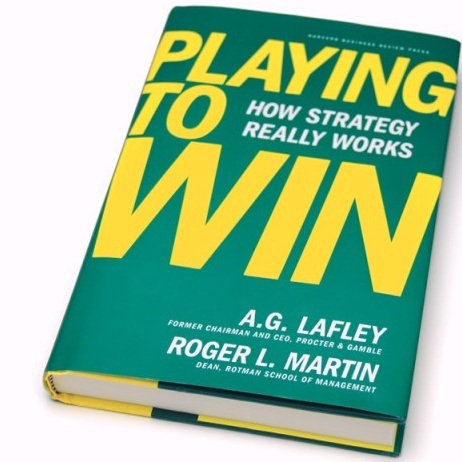 Lafley is Chairman and CEO of Procter & Gamble while Martin is Dean of Rotman School of Management in Toronto. Low-cost leaders have the option of underpricing competitors, but can also reinvest the margin differential in ways that create competitive advantage. For example, 30 years ago Mars created its line of candy bars so they all could be produced on the same super-high-speed production line. In addition, the company decided to use lower-cost ingredients than its competitors. These decisions dramatically reduced their product cost compared to its competitors with multiple production lines and more expensive ingredients. Instead of selling its candy bars at lower prices, Mars chose to buy the best shelf space in every convenience store in America. Even though Hershey’s was a much larger company than Mars, its higher product costs meant it couldn’t afford to counter this strategy. As a result, Mars grew from a small player to Hershey’s main rival with similar market share. Now that was a successful strategy. This entry was posted on Sunday, September 15th, 2013 at 6:51 pm and is filed under books, strategy. You can follow any responses to this entry through the RSS 2.0 feed. You can leave a response, or trackback from your own site. All things considered – I think the success of any strategy is strictly a factor of its execution. We often hear of “strategy was perfect, execution is to blame” when bad things happen. I cringe when I hear that – a strategy that cannot be executed should be called a pipe dream, not a strategy. Great points. A lot of times, its the communication gap between folks building the strategy & the execution teams! And the perception that execution team is less important for success, that causes the challenge. It’s important that while the strategy is built, its execution steps are thought through & communicated workshopped with the team. Clarity & transparency with the team is critical for successful execution of the strategy. Another good book I read a while ago on this subject is ‘Execution’ by Larry Bossidy & Ram Charan.